You’d never expect a desert to be so teeming with life. 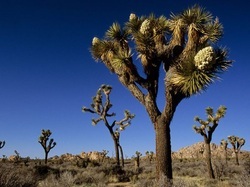 Joshua Tree National Park — named for the prolific members of the yucca family that populate its western end in the high Mojave Desert — is home to palm oases, wildflowers, hundreds of resident and migrating bird species, and for hundreds of years sustained Native American cultures that foraged for provisions in its scrublands. Once, hardy homesteaders, prospectors and ranchers tried to live off the land here. Few prospered, and many failed, but they left their mark — a history that’s still preserved by the park service. Earlier inhabitants dating back to prehistoric times left stone tools, spear heads and petroglyphs. These days, the park is as much a recreational hotspot as it is a living museum of natural and cultural history. Hikers are drawn to its rugged trails and resplendent springtime wildflower fields. Stargazers marvel at the clarity of Joshua Tree’s night skies. Rock climbers ascend monadnocks, testing their limits on the bare desert boulders. 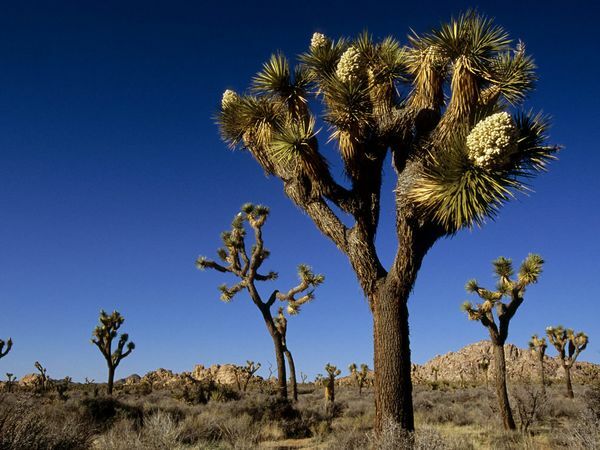 Whether you’re looking to intensively explore the desert or take it in from the comfort of the park’s many access roads, Joshua Tree National Park has loads of sights to see and things to do. Click to see a detailed Joshua Tree National Park map.